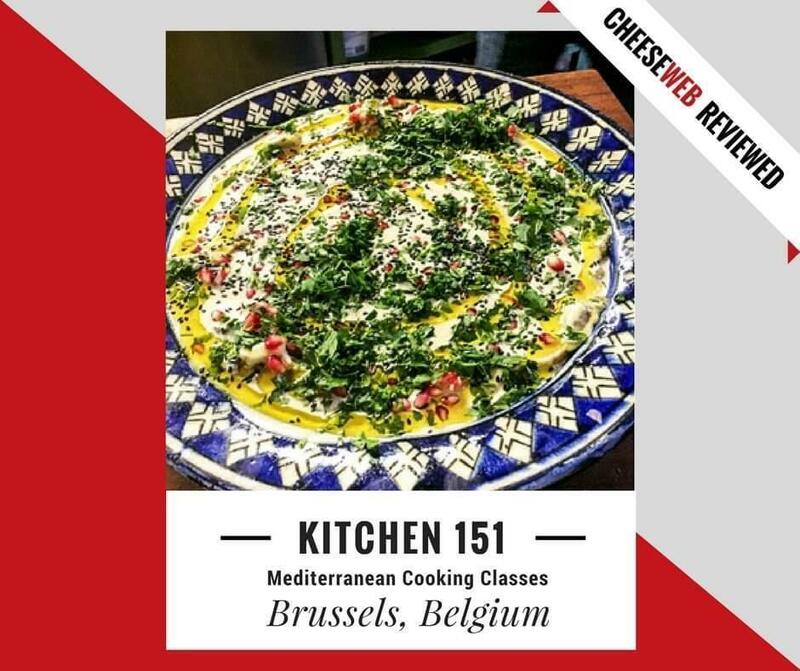 Monika reviews Kitchen 151’s Mediterranean Cooking Classes in Brussels, Belgium. Cooking classes can be a fun way to learn, especially if you get to devour the fabulous dishes you learn to prepare. Simona El Harar and Tim Grosvenor are the wonderful couple who own the restaurant, Kitchen 151, and the art gallery, Gallery 151, respectively. 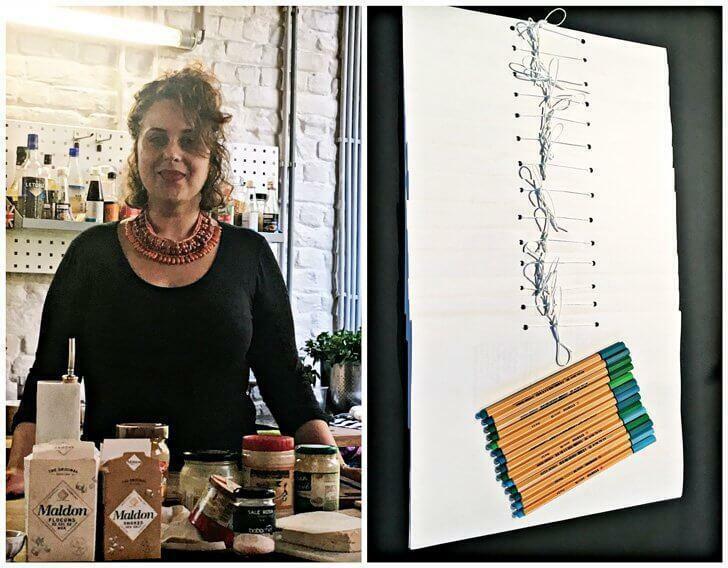 Simona not only manages Kitchen 151 in Brussels but also organises cooking classes in Mediterranean cuisine. I had the pleasure of being invited to one of their cooking sessions. While the restaurant is on Chaussee de Wavre, the cooking classes are held in their home, a welcoming neo-classical style building, not far from Flagey. The kitchen is an extension of the dining space and creates a perfect atmosphere for the cooking, wine tasting and dining session. The kitchen and the dining area used for the Mediterranean cooking classes. 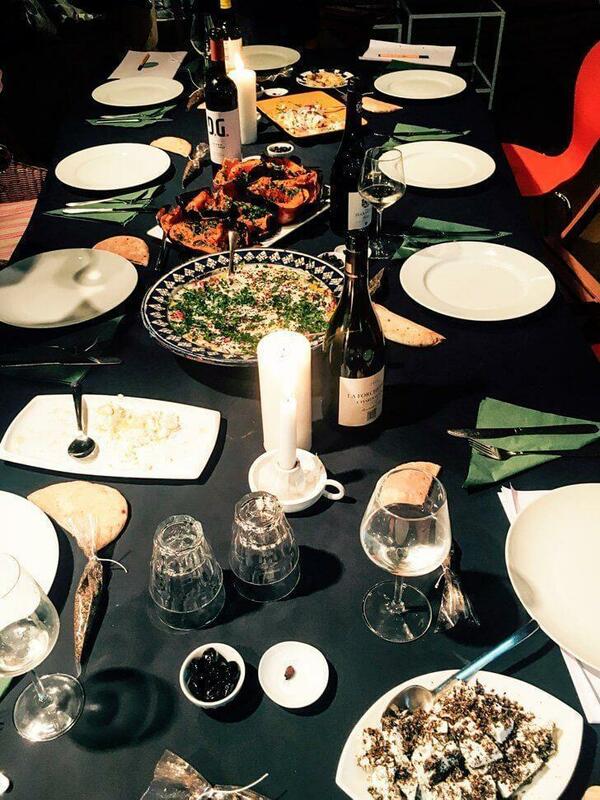 The evening began with Simona introducing the concept of Mediterranean cuisine, more Levantine in this case. Simona and Tim explained the ingredients and produce required for cooking in detail. They also suggested places in Brussels you can buy the freshest produce for replicating the exact flavour in your kitchen. The emphasis was on sourcing the best produce available in Brussels at reasonable prices while supporting local corner stores. They even explained the use and health benefits of different types of salt. 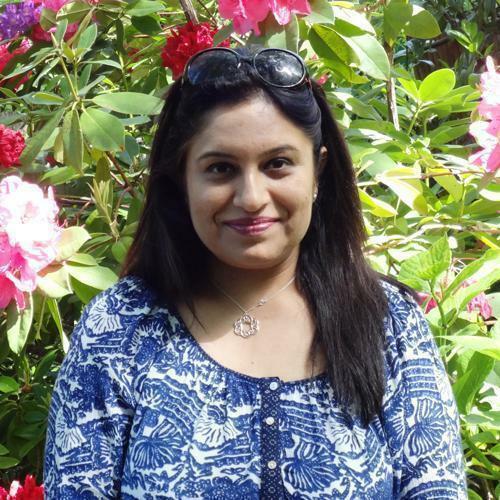 Being a medical professional myself, it was fascinating to learn their ideas of holistic living integrated with food. We were a group of 15 people, and cooking classes are a great way to meet people in Brussels from other nationalities who share an interest in food. 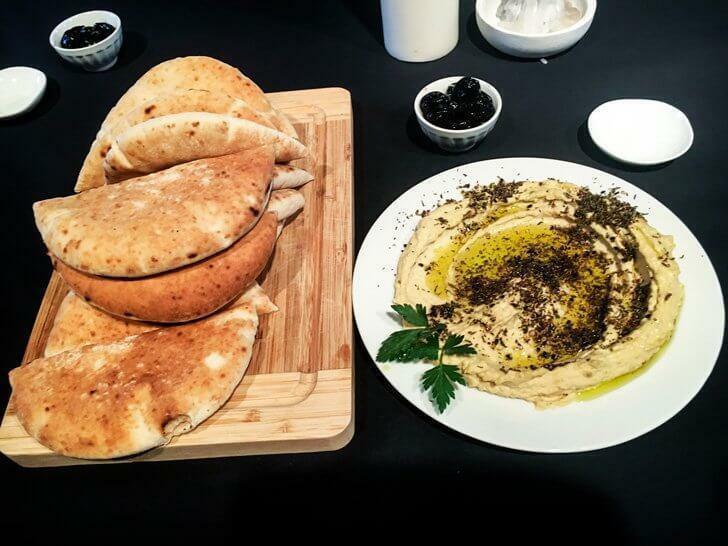 The first item discussed was the much loved Levantine dip, hummus. Though the hummus was prepared earlier, the process of making the dip with chickpeas soaked overnight, boiled the next day and mashed with additional spices, was explained in detail and the recipe provided. We had a great time devouring the creamy chickpea delight with some freshly toasted pita bread. Next on the list was preparing a good Tahini, or sesame seed, paste. 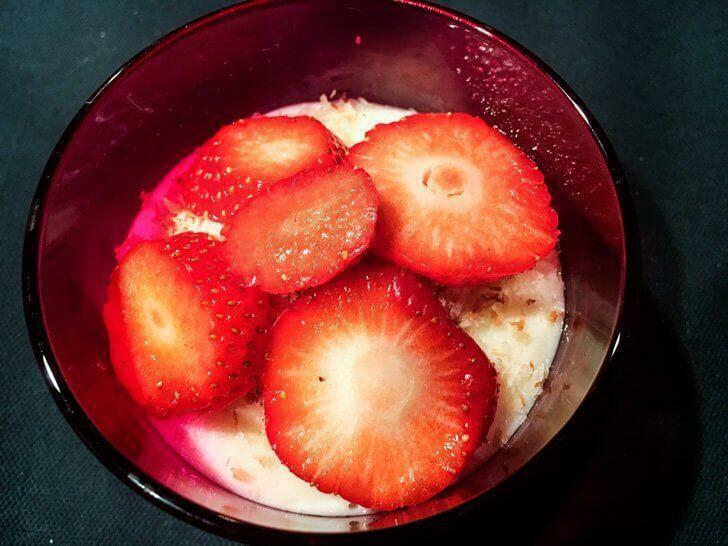 Ideally, I would have liked to learn this from scratch, but for the benefit of the group which included amateur to professional cooks, a simpler method of converting store-bought Tahini to taste like it was homemade was demonstrated. Once we finished with the Tahini, Simona and Tim explained and demonstrated the process of making Baba Ghanoush, step by step. 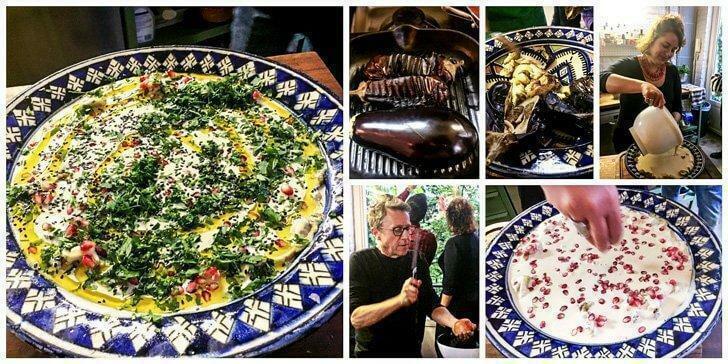 They began with roasting the aubergines, then added the Tahini. Tim even demonstrated a simple way to knock out all the pomegranate seeds from the fruit. The sessions are interesting, not only because of the hands-on experience but also the various anecdotes Tim, with a widely travelled past, relates to the participants. Small tips like using the right whisk or choosing the right utensil or equipment for cooking makes the class insightful. I was especially impressed by the ‘Lebaneh’ demonstration. 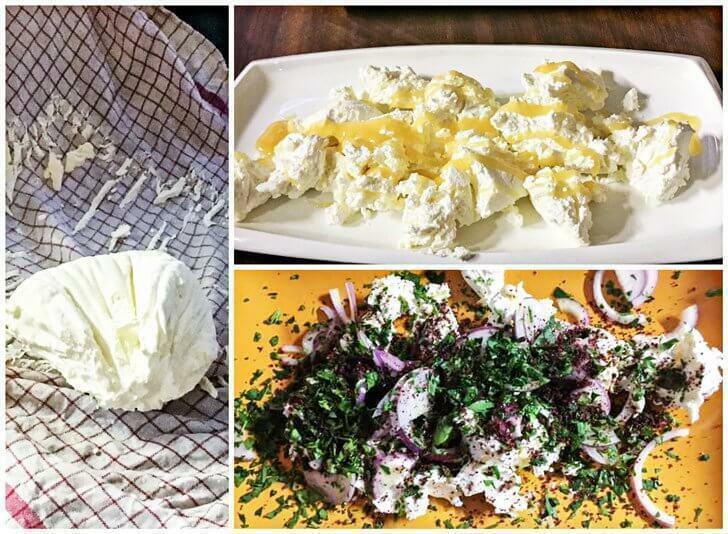 Lebaneh is a low moisture cheese, made at home by straining Greek yoghurt overnight in a cheesecloth and then adding different seasonings to make a sweet and a savoury version. Tomatoes were already being cooked in a large skillet for almost six hours for us to taste the Shakshouka. It was served with some freshly obtained mozzarella from Italy. Lastly, Tim showed us how to make ‘Malabi’ or ‘Mehalabiya’ which is essentially a milk pudding. This was simple, and it was ready to eat by the time we finished dinner. Simona and Tim also served us baked vegetables, like pumpkins and butternut squash, with a seasoning of olive oil and mint leaves. Not only were we given the recipe for Za’atar, the Middle Eastern spice mix, but we were also given some to take home. The best thing about the class was you don’t need to be an experienced cook to learn. 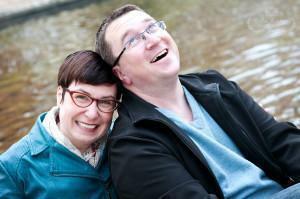 Simona and Tim made things simple and lucid, even for people whose idea of cooking is to heat frozen meals. 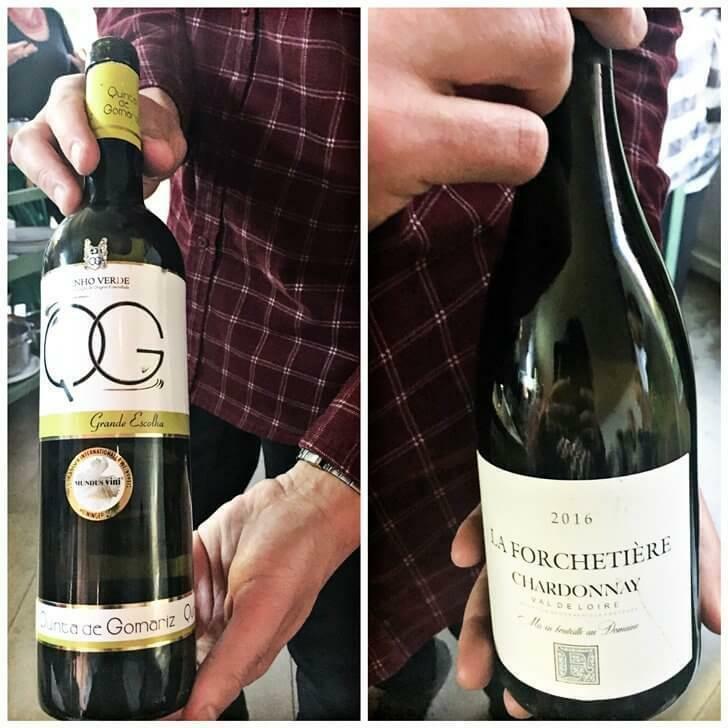 The classes are also complete regarding the explanation of the produce, a wide variety of dishes, and finally getting to taste all the fabulous food paired with a wine tasting with their expert sommelier. Come to Kitchen 151’s cooking class with an empty stomach! The classes are good value for money as a three-hour session is priced at only 50 euros including both learning and eating. They organise classes for vegans and also do recipes with meat and fish. If you want to participate with your friends or your officemates for some camaraderie building, they can even customise the menu. 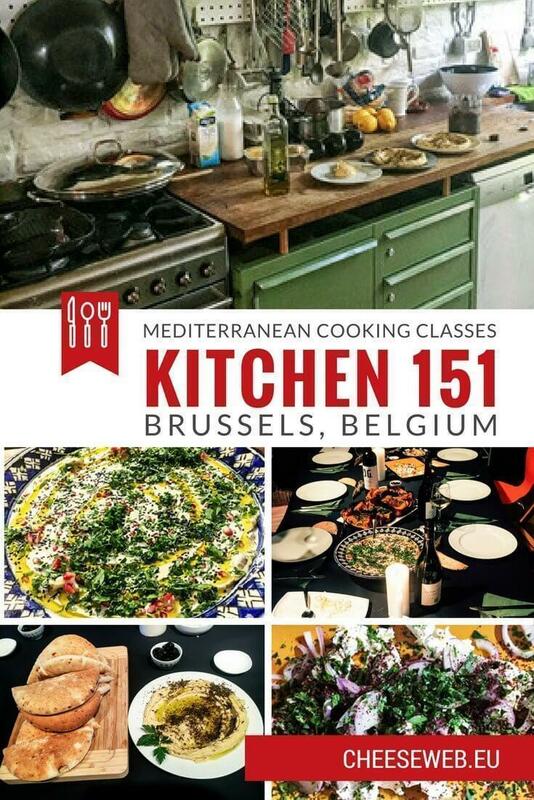 I definitely recommend the Mediterranean cooking classes at Kitchen 151!